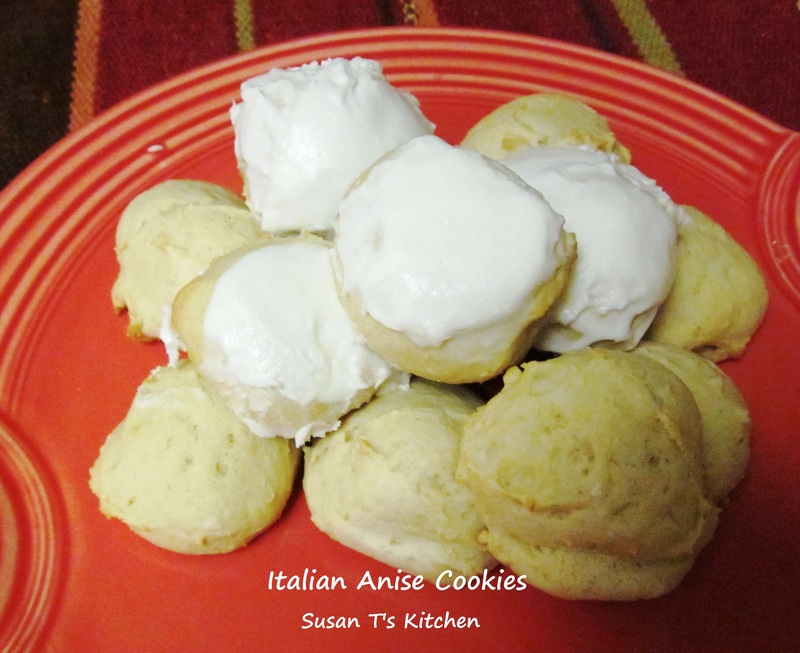 I love making these cake-like Italian cookies with Anise during the holidays. They bring back fond memories of baking in the kitchen with my mother when I was a little girl. These cookies taste good frosted or plain and what’s even better is dipping them in coffee! Enjoy! Pre-heat oven to 350. Line a cookie sheet with parchment paper. In a mixer cream the butter and sugar until light and fluffy. Add the applesauce 1/4 cup at a time, or the eggs one at a time, mixing after each and last add the anise extract. Add 1/3 at a time of the dry ingredients to the butter sugar mixture. Mix and then add 1 tablespoon of milk. Add another 1/3 of the dry ingredients and 1 tablespoon of milk – mix. Add the remaining dry mixture and milk , mix until the dough is soft like drop cookie dough. If needed add more flour. 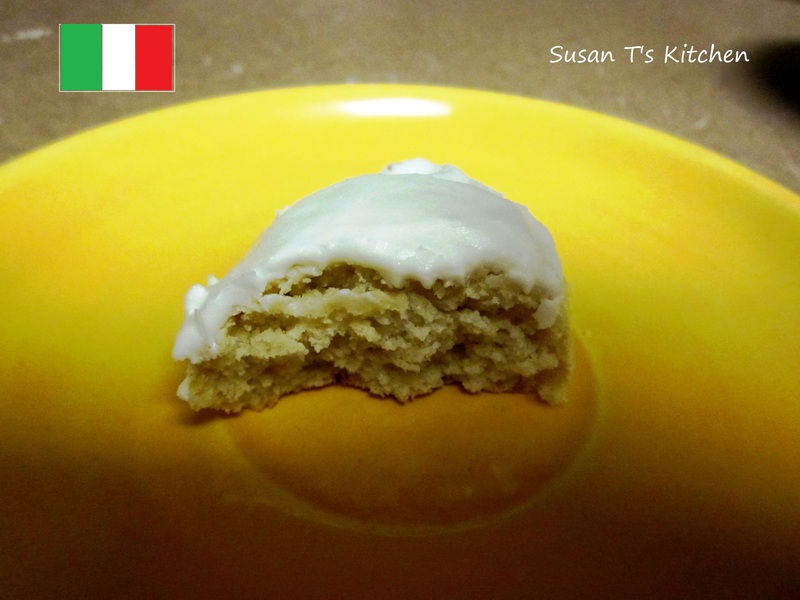 Use a cookie scooper to make simple round drop cookies. Or a spoon. Bake the cookies for 10-12 minutes, do not allow to brown, so the insides will be soft and cake like. Use a toothpick to check. 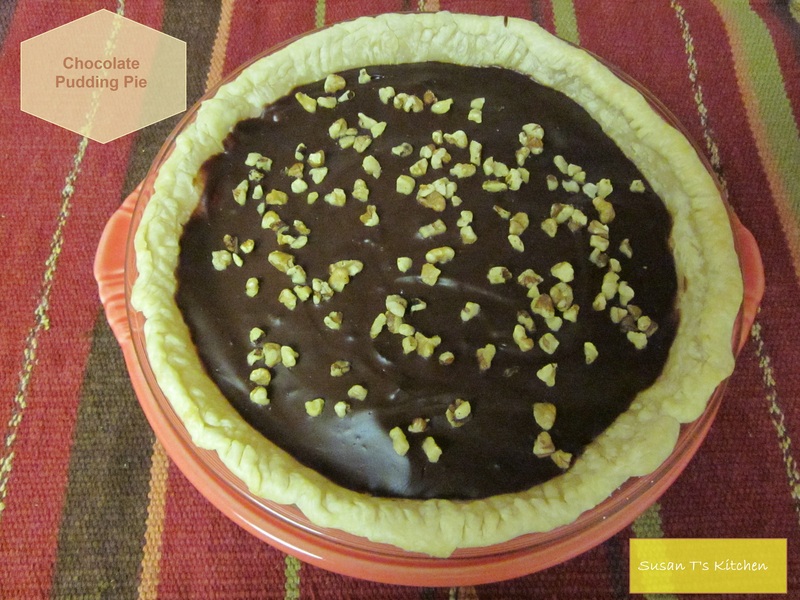 Mix sugar, milk beverage and Anise extract to make a sugar glaze. When cookie is cool enough spread the icing on top. Allow the icing to harden on the cookies and then store in air-tight containers or freeze. I love dipping these cookies in coffee! 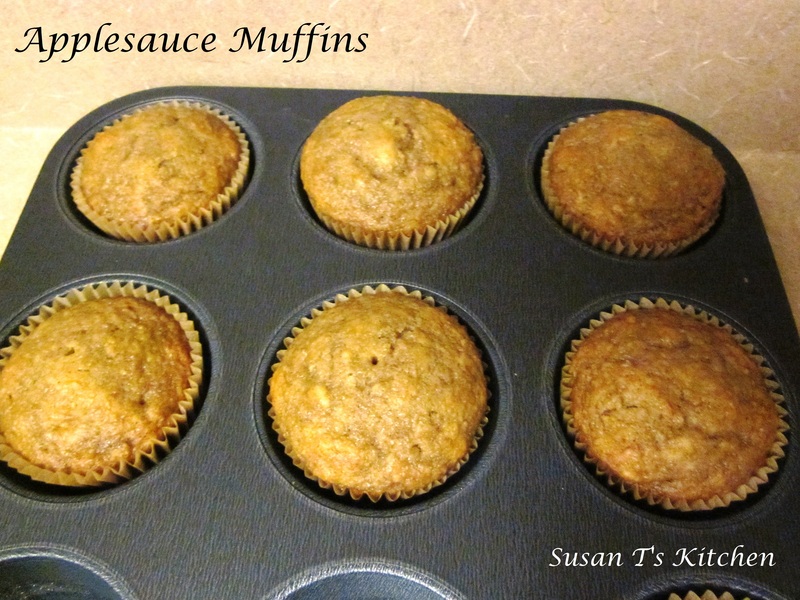 These Applesauce Muffins are so easy to make and smell so good while they bake! 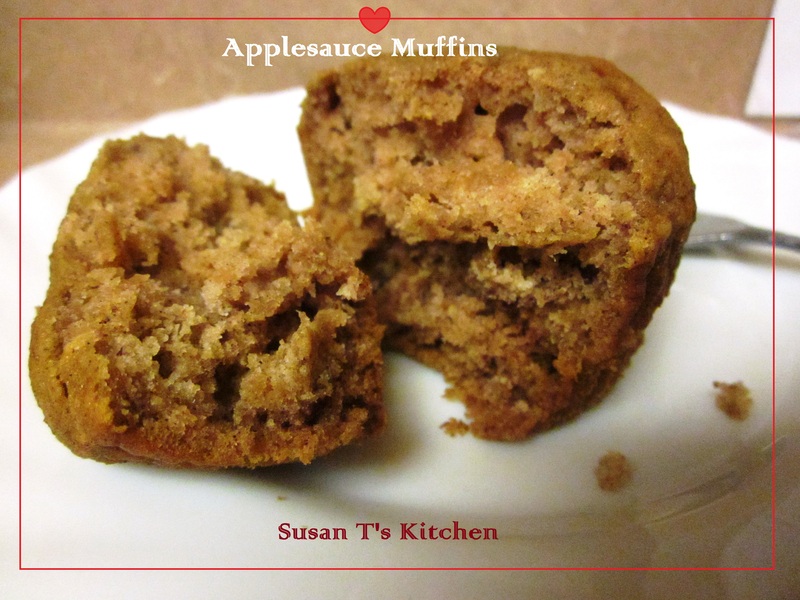 The whole house smells like apples and cinnamon when baking these muffins! No dairy and no eggs! Eat these while they are still hot with a dab of butter! 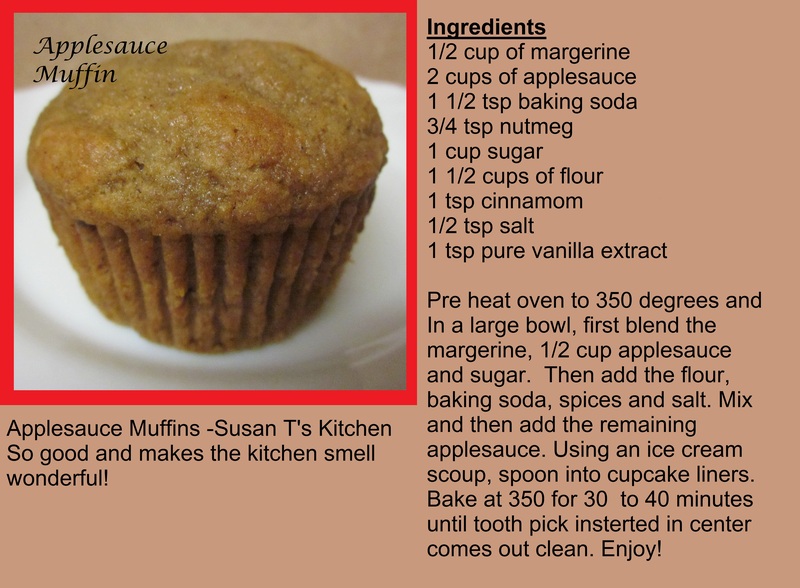 You can also pour the batter into a loaf pan to make Applesauce Bread! This cake is named after my husband who likes to bake as much as I do! His cake is made with no eggs and no dairy! The eggs are replaced with applesauce and the dairy milk replaced with a non-diary beverage, such as rice, almond, hemp or soy. 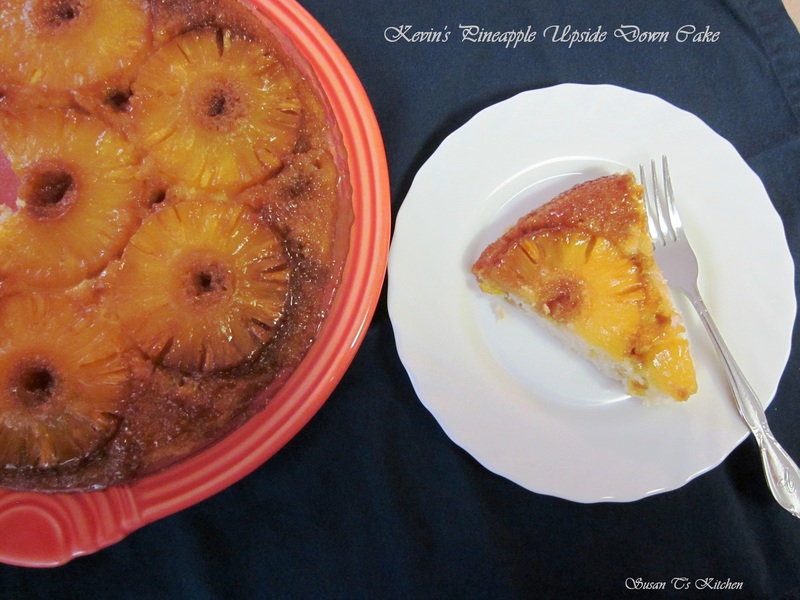 Instead of using a traditional cake pan, he likes to bake with a Cast Iron Skillet! The cake is moist and so delicious! Heat oven to 350°F. In a 10-inch round cast iron pan, melt the margarine in the oven. Sprinkle brown sugar evenly over the melted margarine. Remove from the pan from the oven and place on top of the stove. Arrange pineapple slices over the brown sugar. In a medium bowl, beat the remaining ingredients with an electric mixer on low-speed for 30 seconds, scraping the bowl constantly. Beat on high-speed for 3 minutes, scraping the bowl. Pour the batter over pineapple and place the pan in the oven. Bake 50 to 55 minutes or until a toothpick inserted in the center comes out clean. Remove from oven and immediately place a heat proof serving plate upside down over the pan. Turn the plate and pan over and leave the pan over cake for a few minutes so that the brown sugar mixture can drizzle over cake. Remove the pan and serve warm. Put any leftovers in the fridge. Are you allergic to eggs? Do you miss eating or wish you could eat some of the yummy egg dishes that everybody else can eat. 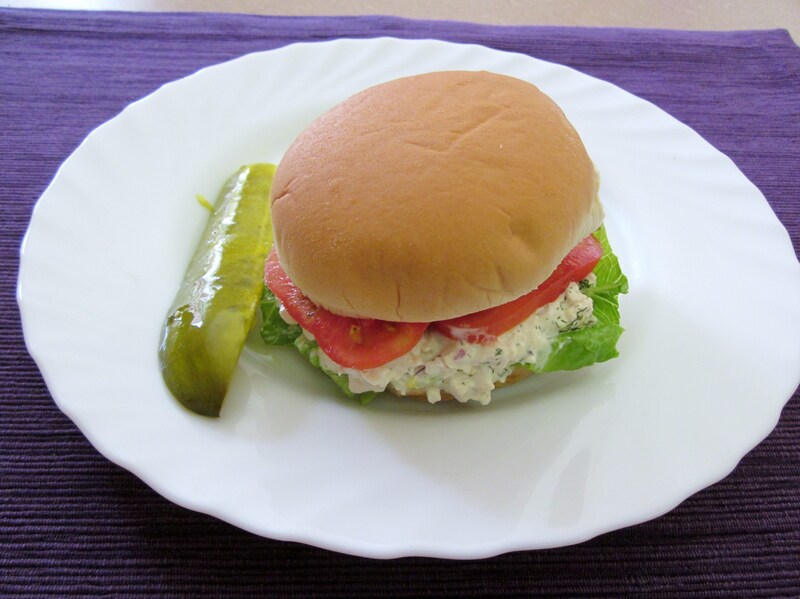 One of my favorite eggless dishes is Eggless Egg Salad, substituted with tofu. You will never taste the difference. Give it a try and let me know what you think.